As a freelance writer, there’s no limit to how much I can earn. The only obstacle I have to overcome is myself. My earnings depend on how hard and smart I work. There are times when I didn’t work, which resulted in me not having enough money for that week. However, as I constantly find ways to acquire more job opportunities to increase my cash flow, I was able to make more money than I initially imagined. 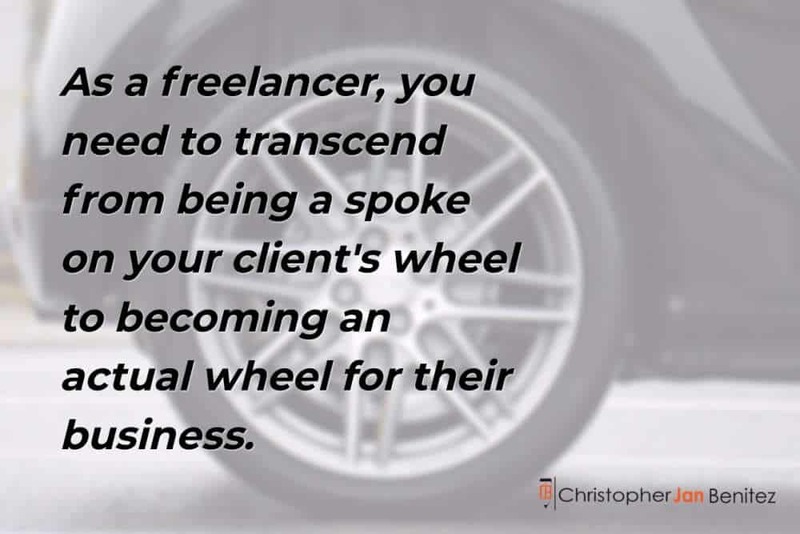 I believe that freelancing, in general, is an on-going process. There’s no time for you to rest on your laurels after earning x amounts of dollars in a month. There’s always a chance that your clients will leave you for whatever reasons, leaving you handicapped for this coming month. While this process can be seen in a negative light, I’d look at it as a challenge instead. The ability to innovate and find ways to sustain your income, if not grow, is one of the most attractive things I see in freelancing. I fell in love with the dynamic world that freelancing offers. After all, if freelancing were easy, then people would have left their corporate jobs eons ago to pursue a freelancing career. With these things in mind, I challenged myself at the beginning of the year. Initially, my goal is to quadruple my income. As most people are hopeful for the year ahead, I felt capable of achieving that goal because I was coming from such a great momentum at the end of the previous year. At that point, there was no doing wrong, and it was only a matter of time before I hit my goals within this year. However, as months progressed and my momentum cooled off, so did my income. Not only did I fail to increase my income incrementally, but I lost some money in the process! So what should do you next? I want Chris as my coach! My attitude towards work didn’t change. I was still as passionate when it comes to freelance writing. I continually sought out different ways to find more clients whom I can help. I always looked for better ways to improve my writing skills and provide value to my clients. My proclivity to find ways to make more money as a freelance writing took a wrong turn when I started dabbling in niche blogging. Throughout my career as a writer, I’ve always been enamored with making money through blogging. What attracted me to it was the ability to earn passive income. Instead of working for clients to earn my salary, a well-developed niche blog should help generate money by itself. The blogs sustain for themselves – I don’t have to double-check and update them all the time because they can manage without little supervision. Also, blogging is not that far off from freelance writing. It is still primarily writing and managing content on a CMS or blogging platform, which I have a great deal of experience with. The transition should be easy. I am aware that it won’t make me money immediately, but the prospect of earning passively once the blogs are up and running intoxicated me. 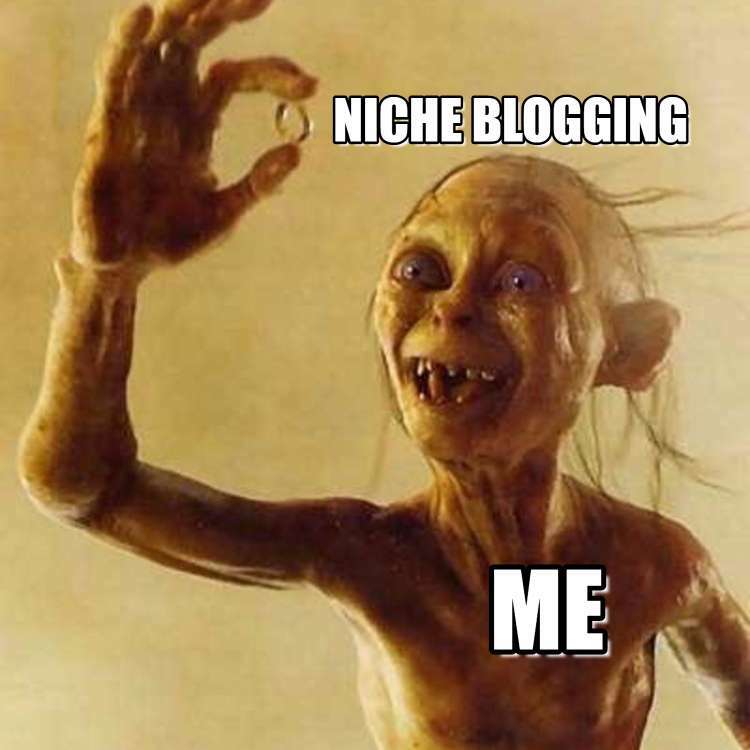 As my “shiny object,” niche blogging was the death of me. My plan for developing niche blogs was sound, but I did it wrong. I did most of the heavy lifting – buying expired, setting up the blogs, developing content ideas, and scheduling the posts for publishing – instead of delegating. I didn’t have the capital to delegate the work to the right people. The process robbed me hours worth of work from jobs that pay me every month. As a result, since niche blogging is not part of my goal for the year, I quickly abandoned the project just as fast as I started it. Before the middle of the year, a colleague reached out to me with a proposal to set up a digital agency for one of her clients. Aside from being a writer, it has been a dream of mine to own a digital agency and apply the experiences I’ve learned throughout the years for clients. This reason is why GoSMRK was relaunched this year after being dormant for three years prior. Because of GoSMRK, I hastily decided to turn my professional site into a marketing blog instead. A screenshot from my ill-advised rebranding plans that I have long unpublished. All the potential clients that will come from this site will be funneled down to GoSMRK. The blog will serve as my way of influence people similar to the way that Harsh Agrawal does with his excellent blog, ShoutMeLoud.com. I also wanted to sell affiliate products from my blog as a way to test the waters of affiliate marketing. However, by simply throwing away everything that I had at that point out the window because I wanted to fulfill my dream, I compromised on my current goal of quadrupling my income. GoSMRK was a brand new name, and I found myself having to build it up again from the bottom. It was a time-consuming and ultimately frustrating experience. I, unfortunately, put all eggs in the GoSMRK basket, which was a stupid thing to do. I was too excited to see beyond my shortsightedness because of the opportunity to live a dream. Because of my errors, I was not attracting clients from my rebranded blog, and GoSMRK didn’t pan out the way I expected during the first few months. I have had the opportunity to work with really great clients who don’t only pay well but also treat me as their equal. They see the value that I provide and come back for more writing projects. More importantly, they don’t shortchange and lowball me with ridiculous offers. It also helps to have experience on how to deal with difficulty and stingy clients, which I have. Despite working with these clients on a long-term basis, the most significant mistake I have made with them is by not building a deeper relationship with them. They only see me as a writer when in fact, I can do more such as manage emails, grow their traffic, work on their social media accounts and more. Initially, I wanted to specialize in writing so I can attract the right clients for my services which I fortunately have. Despite having fully developed skills in other digital marketing tasks, I promoted writing as my bread and butter. However, having carved good working relations with other clients, I failed to offer my other skills to them. My inability to capitalize on these clients is born from staying the same through the years. Based on my experience, most of my clients come and go. After they order, I don’t hear from them ever again. For the current clients I have, I just stay the course with them by not messing with the status quo. However, by not cultivating client relations, they only see me another replaceable spoke in their business while. Therefore, I need to find a way to transcend from being a spoke in an actual wheel. All the mistakes I’ve made this year has made me realize that I won’t be able to meet my goal before the end of the year. As disappointing as it sounds, there is nowhere for me to go but forward. There’s no point in dwelling the error of my ways. All I can do now is learn from my mistakes, so I don’t have to commit them again. During the middle of this year, I decided to pursue a different goal. Instead of quadrupling my income, I want to double my income instead. It’s not the dramatic jump in profit I wanted to achieve, but it’s a challenge nonetheless. However, aside from learning from my mistakes, I wanted to stay hyper-focused to reaching my goals. I believe in myself and the things that I can do, but I want someone to help me become accountable for my actions. I want someone who won’t be afraid to tell me when I’m shitting the bed. I am aware that there are things I won’t be able to see as I continue with work. Having a fresh set of eyes look at my process will tremendously help me innovate my freelancing career. Early this year, I tried bringing in an accountability partner to help me get my act straight. However, it was unsustainable for the long run because of the demands my partner and I had at work. Therefore, I needed to bring in counsel whose specialty is to help me improve my process so I can earn more. This reason is why I hired a business coach. It may sound strange to some, but a business coach works just as well for freelancers. Your career is a business in and of itself. So getting help from a person whose goal is to make sure you reach your business goals works just as well. Finding a business coach is arguably the most challenging part of this journey. I met a business coach who was charging $1,000/month and a contract for eight months ($8,000 in total). While I did like the coach, the price was way above my pay grade. After months of asking out colleagues and searching online, I found one that fits like a glove. His name is Chris Riddell of Dreamboat, a company that offers business coaching, counseling, and consulting services. Chris Riddell – business coach and swell guy. Aside from his reasonable prices, what attracted me to Chris was the way he tackled my business problems with me. During our initial free call, I felt comfortable discussing my business with him, even without me knowing whether or not he has any experience or knowledge with my job. The call was easy going, and there was no pressure on his part on what I should do. Instead, he dissects the words I say and asks which I said those things. From there, it opened a lot of thoughts that I wasn’t conscious of that were affecting my decisions. According to Chris, he acknowledges the fact that the answers that business owners ask are just right under their nose. All he does is lead them towards the possible solutions and help them make decisions from there. As mentioned, Chris doesn’t force the answers out of me. He didn’t tell me what I should do. What he showed instead were things that I can do. He presented the many choices I have for my business and which ones I can take. From there, it helped me opened my eyes to the possibilities of growing my business further and earning more in the process. Since then, I locked in with Chris (at least for a month) to see if he can help me achieve my goal of doubling my income. When we started working together, I had gotten rid of the niche blogging itch that’s been bothering me for so long. It was a sound idea but didn’t achieve my desired goals given the reasons mentioned above. However, I’ve picked up a lot of things from him since working together for almost three months. We talk an hour once a week about my week (four sessions a month). I can also shoot him an email with questions if need be. However, the hour-long conversions we have is kinda exhaustive and comprehensive enough that I don’t have to email him at all. Whenever we chat, there are no stones left unturned, which leaves my head spinning. We pretty much dissect everything that happened the past week, and we discuss issues and obstacles that are keeping me from reaching my goal. Below are just some of the things Chris helped me with my freelance business about my goals. At the time, I just wanted to find ways on how I should grow my income through GoSMRK. Chris asked why I wanted to build GoSMRK from scratch when I already have a great system in place. I was generating leads clients without even lifting a finger – they get hold of me from the articles I write for other clients through my site’s contact form. By rebranding my site, I was permanently scrapping this system and start off fresh. The more he talked about it, the more I fully understood the extent of my actions. I was shooting myself in the foot by rebranding my site and putting all my eggs in GoSMRK. Since my goal is to double my income, I just need to bring back the old process that was working so well for me. In addition to that, I need to position myself from a branding perspective so I can attract the ideal clients for my business. “Freelance writer” is not too specific enough and I’ll be competing with arguably more capable writers than I am in this niche. Therefore, Chris mentioned that I need to narrow down my niche by targeting clients looking for digital marketing content and copy. Since most of my clients are on that spectrum and I have a portfolio that consists mostly of SEO, content marketing, and social media posts, I need to get more clients from that field. Actively applying for jobs is one of the things I hate doing the most. It takes you so much time and effort only to not be accepted at all. However, if I want to grow my income, I should sweat this one out. While it’s not the sexiest task in the world, landing a new job means a higher income. Diligently combing through the list of writing jobs on Problogger, Freelance Writing Jobs, Bloggingpro, and more is something that I should be doing more and more. Despite being a writer by trade, I’m not ashamed to admit that I enlist help from other writers with projects that I have. It’s true that I don’t personally write all the articles (but I edit them accordingly before submitting them to clients). However, I find that working with equally capable writers help me increase my productivity and allows me to take up more projects and spread them evenly to all. More importantly, I provide promising writers a platform where they can polish their craft and earn a reasonable amount of money in the process. That said, Chris mentioned that I must utilize my writing staff to the best of their abilities. The goal is to always work with highly talented writers so I can maintain the quality of writing without spending hours editing each work. However, working with writers who fulfill a specific requirement for the client works just as well. The point is that the writers should help me achieve my job much better and reach my goals much easier. Aside from writers, I am also working with a VA who will manage menial tasks related to my business such as applying for job boards, promoting my content across different social platforms, and more. Chris wants me to delegate all of the non-writing jobs so I can give my 100% on all writing tasks. A simple “yes” or “no” won’t suffice. Since the goal is to double my income, the effectiveness of Chris’ coaching services is determined by how much I’ve earned since taking him up as coach. Here is a screenshot of my Paypal account on the 4th of November. 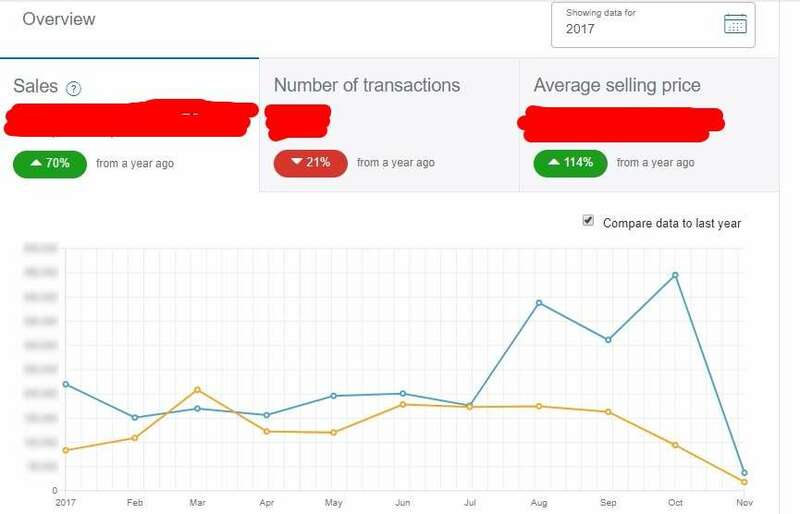 Not only were as my sales higher and transactions lower compared to last year, but there a significant jump in sales since August, around the time when I hired Chris as my business coach. And we’re not yet done with this year! However, the fixes he made for me as explained isn’t as simple as they do. It took me total focus to wake up every day with a clear purpose in mind. I had to brush off things that were keeping me from being productive (goodbye, Netflix). More importantly, I had to generate long-term projects with clients for me to create a sustainable business and be able to predict my monthly income. Again, the answers are just in front of you. It’s just a matter of grabbing and running with it so you can achieve the success you deserve as a freelancer (writer or not)! If you’re a freelancer who has been slugging it out this past year, then I’m sure you want to multiply your income to end the year strong or enter next year on a high note. Like I said earlier, it’s entirely up to you how much you want and can earn on a regular. The fact that you read this post means that you’re interested in getting the most out of your freelancing career. I mean, who doesn’t? 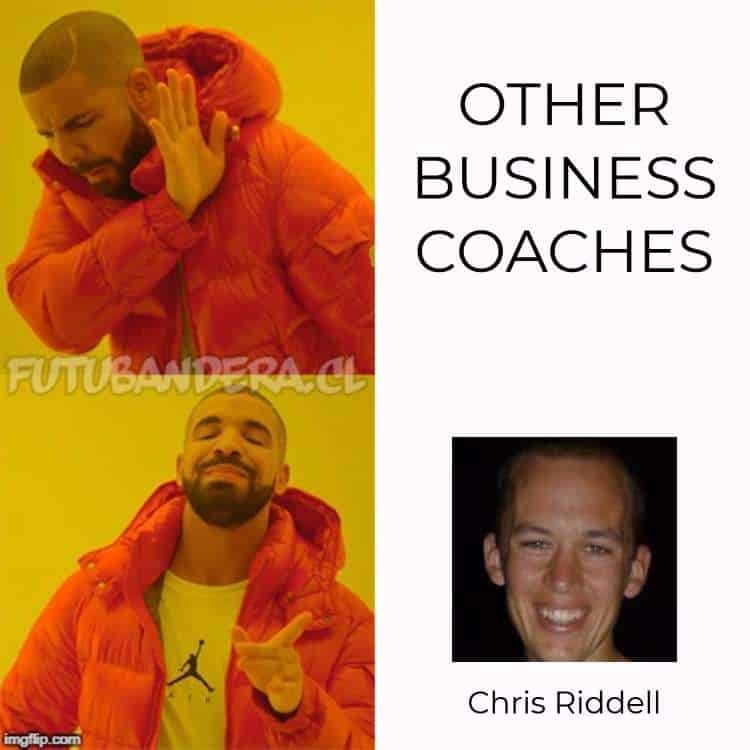 If that’s the case, then I highly suggest that you hire Chris Riddell to be your business coach. 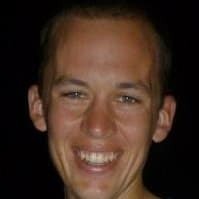 If you prefer a loose, conversion-style approach to coaching that puts the focus on your end-goal, then Chris is your man. Nay, he’s the man. Throughout my time working with him, he didn’t once impose anything on me. Nor was he angry or frustrated if I wasn’t able to follow he advise or suggestion. What he’s focused on is getting you into a mindset that will set your blinders on so all you can see is the goal ahead. From here, we will help parse your everyday lives and help you fashion a daily or regular habit that allows you to get nearer to your goal. It’s simple. Throughout my conversations with him, Chris throws shade on the crippling amount that certain coaches charge their clients. This reason is why he focuses on providing business coaching that brings home the bacon without putting the stress on your budget. Chris’ coaching and consultation services are deceptively simple, but it works nonetheless. It is effective well for me because I wanted to grow my income. I’m tired of settling for a comfortable salary especially since I know that I can do more. Chris helped me turn my desire into reality. If you share the same thoughts, then you should hire Chris as your coach. Great! To be honest, you’re making the right choice for your freelance career. Once you have sent the button, please check your inbox for more information. If you want Chris as your coach, then let’s focus on that. There are no ifs and buts. Just do. Chris offers FREE 1-HOUR CALLS to everyone interested in his services. The call covers everything included in all of his calls: his undivided attention, your floor to talk about your business, and better clarity on what you need to do to reach your goals! If you’re not satisfied with the free call, then you can walk away at your behest, your head held up high and carry on with your awesome life. If you love his coaching style, then you can finalize the transaction with him and continue the calls until the end of the month.